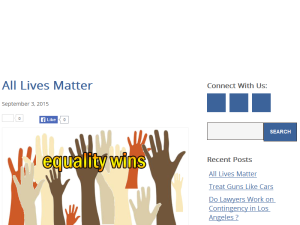 Lawyers in Los Angeles Blog talk about leading subjects in our city, state, country and even world matters. Our Attorneys will provide you with the out-most personal and professional service in order to get you the best possible results. This what your Los Angeles Lawyers Blog Ad will look like to visitors! Of course you will want to use keywords and ad targeting to get the most out of your ad campaign! So purchase an ad space today before there all gone! How Does An Accident Affect A Car Lease? La Jewish Lawyer The post How Does An Accident Affect A Car Lease? appeared first on Blog - Law Firm Near Me - News and Help. Leasing a car is a great option for those folks who may not be able to afford to buy one. Nonetheless, there are some perks associated with leasing a car, specially if you get into a car accident. For example, if you own a car and it is involved in a car accident, this can show up in a report such as a Carfax and this will undoubtedly lower the resale price of your car. On the other hand if you lease a car you will not carry the burden of the decrease in value because the manufacturer does. However, as you may already know, when you lease a car you’re required to have insurance as you’re still expected to return the car in one piece. Here is when an experienced attorney may come in handy. When you experience a car accident in a leased car, in addition to notifying your dealer, you will need to pass through the same hurdles you would had you gotten in a car accident with your own car. Of course, at first you should be concerned with your safety and health and then those of other drivers and passengers.Then, it is always helpful to get the names and numbers of witnesses to the event. If law enforcement is called, they will also write up a police report. Finally, the other driver’s insurance companies will take the available information to assess whether you will receive any compensation and how much. Often times, they decide you will receive nothing or less than you truly deserve. If the other driver’s insurance company denies your claim, you may be left to go through your own insurance, pay their deductible and recover on your own. Fortunately, even if the other driver’s insurance company denies your claim or does not compensate you properly, you may still fight to get the compensation money you deserve. A top car accident attorney can conduct his or her own investigation and reveal facts that may have been omitted my law enforcement. Additionally, because attorneys can file a lawsuit at any time, they typically get more leverage when negotiating a fairer settlement with the other driver’s insurance company. This means that a top personal injury attorney negotiates for medical bills, property damage, lost income, pain and suffering and in some cases even punitive damages. Here at LA Jewish Lawyer we’ve build a network of courtroom-experienced top attorneys that can deal with the law and insurance companies while you focus on recovery. If you’ve been involved in an accident in a leased car, call LA Jewish Lawyer at 855 977 1212 for a Free Consultation with an attorney. The post How Does An Accident Affect A Car Lease? appeared first on Blog - Law Firm Near Me - News and Help. La Jewish Lawyer The post USING CALIFORNIA DMV FORMS TO GET INFORMATION ABOUT A CAR ACCIDENT appeared first on Blog - Law Firm Near Me - News and Help. In California, the law requires that traffic accidents on street, highway, or private property to be reported to the Department of Motor Vehicles within ten days of the accident if there was an injury, death, or property damage more than $1,000.00. Untimely reporting of the traffic accident to the Department of Motor Vehicles could result in the Department of Motor Vehicle suspending a driver license. California Vehicle Code § 1806 requires the Department of Motor Vehicles to record accident information regardless of fault and requires that the driver file an SR-1 form with the Department of Motor Vehicles regardless of whether they caused the collision. This form can be used to obtain insurance information of a vehicle, a photocopy of a reported DMV Form SR-1, or an uninsured motorist certificate. This can be useful to obtain insurance information of another driver or to confirm that the other driver does not have insurance for the incident. This can then be used to open up a claim for uninsured motorist under an insurance policy. In a pending civil or criminal action, this form can be used by an attorney licensed to practice in California to obtain driver’s license information or vehicle registration records of another vehicle. This is useful with collision reports do not have the correct information or in cases of a hit and run. Lawyers are not experts in math, but they are experts in the law. Following an auto accident, it is important to have an attorney when reporting a claim to make sure all rights are protected and to ensure maximum recovery of the claim. Regardless of whether there are any injuries or damages, if an accident is being reported, an attorney should be consulted. Do not wait, never hesitate, and reach out to a professional attorney who is ready to work for you. is an associate attorney at Ellis & Bakh, LLP where he specializes in wrongful death and catastrophic injury litigation. He obtained his Bachelor of Arts in Philosophy at the University of California, Los Angeles and earned his Juris Doctorate from Pepperdine University School of Law. At Pepperdine, Jonathan was the Lead Articles Editor of the Pepperdine Dispute Resolution Law Journal and a lead member of the negotiations and mediations Team. He competed in several nationwide and international negotiation and mediation competitions. Jonathan continued his studies at the number one, nationally-ranked Straus Institute for Dispute Resolution and obtained his Masters in Dispute Resolution. In addition to his classroom training, Jonathan externed for the United States District Court, Central District of California; United States Attorney’s Office, Department of Justice; Honorable Judge Robert Kwan, Bankruptcy Judge of the United States Bankruptcy Court for the Central District of California; Los Angeles Superior Court; and for the Los Angeles District Attorney’s Office. Jonathan is dedicated to the principal and philosophy that every injured victim is entitled to the best representation, regardless of their personal financial status or complexity of their case. Jonathan prides himself on being a tough, creative, and fair legal advocate for all of his clients. This article is made available by the posting attorney for educational and/or discussion purposes only, as well as to give the reader some general information and a superficial understanding of legal terms, but certainly not to provide specific legal advice. The article does not constitute either formal or informal legal advice, and is not a solicitation for the provision of legal services. Under some interpretations of the legal ethics rules, some or all material in this article may be considered attorney advertising, but it is certainly not legal advice, and was never intended to provide legal advice. The hiring of a lawyer is an important decision that should not be based upon advertisements, including any posted articles such as this one. Every legal matter is different. No specific results are implied by any discussion provided in any article, and no specific results could be achieved. When reading this article, the reader must understand that there is no Attorney-Client relationship between the reader and the posting attorney. An attorney-client relationship is established only when there is either a Contract between the parties, or a private, confidential meeting and/or communications between the Attorney and the client. The posted article may be changed, improved, or updated without notice. The posted article is basically an expression of opinions and thoughts, and the posting attorney makes no representations as to accuracy, completeness, or validity of any information in the article, or otherwise on this website. The posting attorney will not be liable for any errors, omissions, or delays in this information or any losses, injuries, or damages arising from its display or use, in any way or form. This article should not, and cannot, be used as a substitute for competent legal advice from a licensed professional attorney in your state. This material does not constitute legal advice, and no reader should act or refrain from acting on the basis of any information contained in the posted article, without seeking appropriate legal or other professional advice on that reader’s particular circumstances. Furthermore, the posting attorney does not endorse any content provided on this website, including any blogs or articles posted by others on this website, and is not associated with the publisher or the website, in any way or form. The post USING CALIFORNIA DMV FORMS TO GET INFORMATION ABOUT A CAR ACCIDENT appeared first on Blog - Law Firm Near Me - News and Help. SHOULD I REPORT A MINOR CAR ACCIDENT TO MY INSURANCE? La Jewish Lawyer The post SHOULD I REPORT A MINOR CAR ACCIDENT TO MY INSURANCE? appeared first on Blog - Law Firm Near Me - News and Help. Some drivers who are involved in a small auto collision try to avoid reporting the accident to their insurance for several reasons. First, these types of drivers assume that their insurance rates will increase because of reporting the incident. Second, these drivers sometimes assume that things can be worked out with the other driver without involving the insurance companies. Third, these drivers assume that there is little or no damage – or injuries. The non-fault driver should not have an insurance rate increase for reporting the incident to their insurance carrier. This should apply even if they are using their collision, comprehensive, uninsured motorist, or underinsured motorist coverage. However, some insurance companies have complete discretion to remove any applicable discounts, such as good driver discounts or no accident discounts. As a result, the non-fault party’s insurance may still increase. Accidents never work out with other drivers. Often, little damage and/or scratches could cost a few hundred dollars – but once a body shop inspects the vehicle, often times, they will find internal damage, or the cost of the paint is more than expected. The at-fault driver may not have the funds to pay out right away. This may cause the non-fault party to pay out of pocket. If no payment is made, reporting the incident to the insurance company after a few weeks may cause some doubts and possible denial of the claim. Thousands of car accidents occur every day that occur at a relatively low speed of 10mph or less. This is enough speed to cause whiplash when there’s a sudden stopping motion or an impact from behind which causes a person’s neck to snap forward and backwards quickly. The symptoms may not appear right away and take a few weeks to appear. It also does not take much force at all to cause a brain to rock against the inside of a skull. This can lead to bruising or bleeding of the brain. A low impact car accident can easily cause back or spinal cord injuries. The spinal cord can be tweaked from low impact, and the smallest tweak the wrong way could cause long term pain. The first thing everyone should do when they are involved in a collision is to seek medical attention. Call 9-1-1 and wait for ambulance and emergency personnel to arrive at the scene to assess and address any injuries. No one should take any risks with their health. Many injuries such as spinal cord injuries, concussion symptoms, and other internal injuries can arise a few days following the collision. Those involved in an auto collision should always seek medical attention to make sure there are no potential injuries. Following up with a primary doctor just after a few days can do no harm. Lawyers are not experts in math, but they are experts in the law. Following an auto accident, it is important to have an attorney when reporting a claim to make sure all rights are protected and to ensure maximum recovery of the claim. Regardless of whether there are any injuries or damages, if an accident is being reported, seek consultation with an attorney. The post SHOULD I REPORT A MINOR CAR ACCIDENT TO MY INSURANCE? appeared first on Blog - Law Firm Near Me - News and Help. La Jewish Lawyer The post HOW TO NEGOTIATE MEDICAL LIENS appeared first on Blog - Law Firm Near Me - News and Help. Dealing with private health insurance liens can be tricky. But there are many tactics in reducing the total lien amount. Work zealously and diligently in negotiating the final lien amount early on in the case to minimize lien recovery. Review the lien, all the dates of services, and make sure that only visits related to the injury are include. Review the total lien amount and reduce anything that seems too much. Check the CPT codes for standard rates for the area of service. If the settlement was reduced for comparative fault, make sure to reduce the lien amount for the same percentage. If the settlement is for multiple parties, make sure to apportion the settlement for the lien claimant only. Reduce the lien amount for any out of pocket expenses such as deductibles and co-pays. Settlements often cover past and future medical bills, lost wages, and pain suffering. Determine the amount of the settlement for medical bills and reduce the lien amount accordingly. Make sure to pay out liens in priority. If there is an issue of liens, make sure all lien claimant’s rights are accounted for and apportioned accordingly. The Made Whole Doctrine limits the recovery when the injured victim has not fully recovered from the settlement. The doctrine allows a reduction for attorney fees and costs. The Common Fund Doctrine further limits the recovery to a pro-rata share of the total settlement. Most likely you will deal with the lien claimant again on other matters. Make sure to maintain civility throughout the entire process. Damages are limited but the type of damages is very case specific. Given the severity of an incident, a party may even recover for the lost earning capacity and loss of ability to provide household services. Others allow for the recovery of emotional distress, even when the party making the claim was not directly harmed by the incident. It is important to understand the extent of your damages and what can be recovered based on the specific facts surrounding the claim. It is just as important to consult an attorney in your state immediately following an incident to better understand and protect your legal rights. Do not wait, never hesitate, and reach out to a professional who is ready to serve your needs. The post HOW TO NEGOTIATE MEDICAL LIENS appeared first on Blog - Law Firm Near Me - News and Help. HOW DO I GET A COPY OF A COLLISION REPORT IF I WAS INVOLVED IN A CAR ACCIDENT? La Jewish Lawyer The post HOW DO I GET A COPY OF A COLLISION REPORT IF I WAS INVOLVED IN A CAR ACCIDENT? appeared first on Blog - Law Firm Near Me - News and Help. If the police, sheriffs, or highway patrol arrive at the scene of a collision, or any other government entity, chances are a collision report was made. The agents at the scene of the incident will provide a report number which can be used to request a copy of a report several ways. If a report number was not provided, a search can still be made by providing information regarding the incident, including the date, time, location, and the information regarding the parties and the vehicles involved. In Los Angeles, it takes approximately thirty to sixty days for a report to be made available, absent certain special circumstances that result in expedited reports. Most places, such as the Los Angeles Police Department, Anaheim Police Department, Beverly Hills Police Department, Burbank Police Department, Culver City Police Department, Glendale Police Department, Oceanside Police Department, Orange Police Department, Pasadena Police Department, San Diego Police Department, Santa Barbra Police Department, and Ventura Police Department use an online portal through LexisNexis. The portal can be reached at https://policereports.lexisnexis.com/search/?AGENCY=CA0194200&lang=en. The portal requires the state, jurisdiction, involved party’s information, date of incident, location of incident, and/or the report number. Most departments have a way of requesting the report through mail. Each department has their own form, address, and amount of payment for requesting the report. Make sure to check the proper police department that has jurisdiction over the incident and/or arrived at the incident. Call ahead to ensure the report is ready. What About Reports Made By The Fire Department? Each fire department has their own forms to fill out and procedures to follow to obtain medical and billing records from the fire department. Can I Get Copies Of The 911 Calls Made Regarding The Car Accident? Each department has their own forms to fill out and procedures to follow to obtain medical records from the fire department. What If There Was A Fatality, Where Can I Get The Coroner’s Report? Coroner’s reports made for victim ins Los Angeles County can be found at http://mec.lacounty.gov/. California Civil Code § 3281 states in pertinent part, “every person who suffers detriment from Personal Injury, the unlawful act or omission of another, may recover from the person in fault a compensation in money, which is called damages.” California law limits recovery to actual harm caused to the victim. Those damages are divided into two categories: economic damages and non-economic damages. Economic damages include “objectively verifiable monetary losses” which includes past and future medical expenses, past and future lost earnings, lost earning capacity, and loss of use of real property. California Civil Code § 1431(b)(1). The amount recoverable for medical care and services must be reasonably and attributable to the injuries suffered from the incident. However, when determining future medical costs, the calculation can get difficult, since the medical treatment has not yet occurred. Typically, an attorney will consult with an expert in the field to evaluate your injuries to determine any future medical care and assign a reasonable value to the care. Contrary to economic damages, non-economic damages include “subjective non-monetary losses” which includes pain, suffering, inconvenience, mental suffering, emotional distress, loss of companionship, injury to reputation, and humiliation. California Civil Code § 1431(b)(2). Emotional injuries include mental injuries such as fear, insomnia, grief, worry, inconvenience and the loss of enjoyment of life. California Civil Procedure Code § 335 states that all claims for personal injuries must be brought within two years of the incident. The post HOW DO I GET A COPY OF A COLLISION REPORT IF I WAS INVOLVED IN A CAR ACCIDENT? appeared first on Blog - Law Firm Near Me - News and Help. La Jewish Lawyer The post 6 Ways To Get A Driver’s Insurance Policy Information appeared first on Blog - Law Firm Near Me - News and Help. If the police, sheriff, or highway patrol arrived at the scene, chances are, a collision report was made. If you obtained a collision report number, most places, such as the Los Angeles Police Department, Anaheim Police Department, Beverly Hills Police Department, Burbank Police Department, Culver City Police Department, Glendale Police Department, Oceanside Police Department, Orange Police Department, Pasadena Police Department, San Diego Police Department, Santa Barbra Police Department, and Ventura Police Department use an online portal through LexisNexis to access their collision reports. The portal can be reached at https://policereports.lexisnexis.com/search/?AGENCY=CA0194200&lang=en. The portal requires the state, jurisdiction, involved party’s information, date of incident, location of incident, and/or the report number. After the form is filled out, a copy is sent to the other driver. If the DMV has the other driver’s insurance in their file, a copy will also be sent to their insurance company. The DMV will also update their file and fill in the SR-1 with the missing insurance information. This form can be used to obtain insurance information of a vehicle, a photocopy of a reported DMV Form SR-1, or an uninsured motorist certificate. This can be useful to obtain insurance information of another driver. Once the DMV receives the SR-1 form, they investigate the license plate and driver to find their insurance policy coverage for the incident. Then, a driver can obtain a copy of the updated form with the update insurance information. If there is no insurance information in the file, then the DMV will return a certificate of non-insurance for the incident, useful to open up an uninsured motorist claim under applicable policy. In a pending civil or criminal action, this form can be used by an attorney licensed to practice in California to obtain driver’s license information or vehicle registration records of another vehicle. This is useful with collision reports do not have the correct information or in cases of a hit and run. After finding the driver’s license information or vehicle registration records, you can then submit an SR-1 form and a SR-19 form to obtain the insurance information. If the other party is not represented by an attorney, a letter can be sent to the driver and/or registered owner of the other vehicle (information can be obtained via SR-1, SR-19, and/or INF 1161F) demanding them to send their insurance information. Many companies provide services for fees ranging from $200.00 to $500.00 for policy background checks. These policy checks can check for car insurances, homeowner policies, umbrellas policies, liability coverage, and other types of coverages for any incident. The post 6 Ways To Get A Driver’s Insurance Policy Information appeared first on Blog - Law Firm Near Me - News and Help. If you are the owner of Los Angeles Lawyers, or someone who enjoys this blog why not upgrade it to a Featured Listing or Permanent Listing?